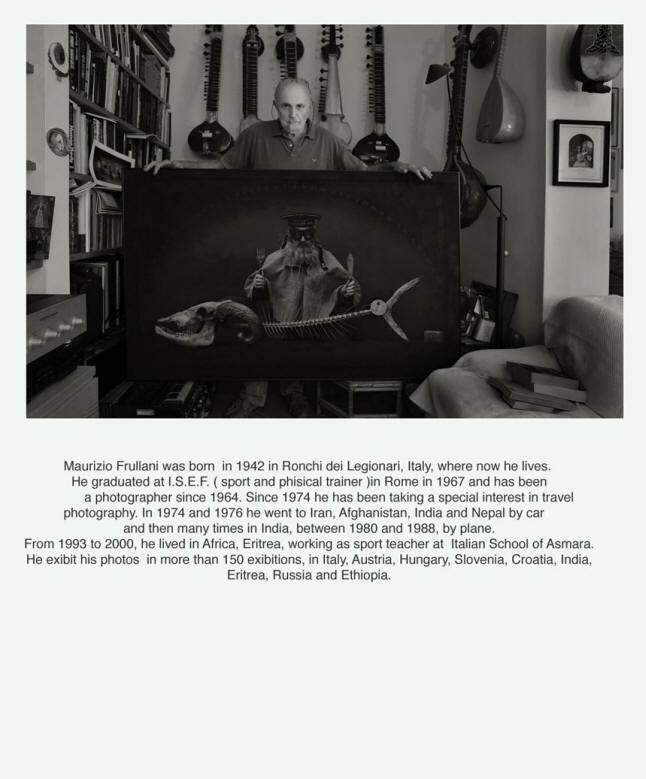 On one of my trips to India I happened across a small book called "Sulla Strada del Raga" by photographer Maurizio Frullani and I was quite taken by the pictures. Some research later on enabled me to contact him and so you have the results here! We currently have his gallery size portfolio with us and are seeking sincere and qualified galleries to host the pictures so if interested please contact us. Please join me in thanking Maurizio for providing the photos for all of our enjoyment. I know that some of you as well as I will possibly have known many of the faces seen here. Most are black & white and from the 80's during several trips. Forgive me for the superimposed logos but due to a lot of theft of our many pictures elsewhere it's now necessary (and a lot of work). All photos are the sole property of the photographer and are presented solely for the enjoyment of everyone. I'll try to edit the photo titles and descriptions soon but the file names will tell you who they are and where if you don't know. For ease of viewing and lack of acceptable programming skills of yours truly I've posted the gallery on our Facebook page, you don't need to be a member to view them as far as I know. Feel free to post your comments on our Facebook page for Maurizio to see. We have a few copies left of his book with most of the pictures here in it but it's out of print after we're out.